These chicken wings are crispy, salty and sweet with a bit of heat. This is a great recipe that definitely has a different flavor. The wings get marinated with a bit of fish sauce for a few hours. This gets reduced down to syrup. The wings go on the grill direct heat until done, the skin should be crispy. 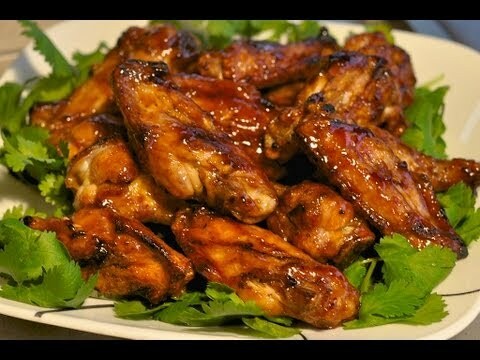 Toss wings in the sauce and serve on a bed of cilantro. Please watch: "Homemade Tender Carnitas Tacos"